The 5 Most Important Climate Considerations When Choosing a Long-Lasting Metal Roof	Zincalume Vs Colorbond – Which Should I Choose? When you are getting a commercial roof installed, it is crucial for you to monitor the entire construction carefully. Since this is not always possible, it is important that you hire a reliable and well-established company like RO Roofing to handle the job. If the installation is handled by a sub-standard contractor and it is not done right the first time around, it can cause a lot of hassles for you in the long-term. Dealing with constant roofing repairs and replacement can be a headache and a very expensive proposition too. It is also very important that your entire roofing be inspected or least twice a year. 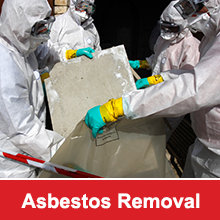 This helps in identifying any problem areas and they can be fixed before the issue escalates. The frequency of the inspection will also depend on the location of the structure. For instance if it is located very close to the sea or if there have been violent storms in the area, you should get the roof inspected more regularly. In most instances you will find that the common issues found during roof inspections are poor designing, sub-standard or faulty material weathered surfaces, trapped moisture, lack of maintenance, foot-traffic on the roof and in a number of cases- poor workmanship. 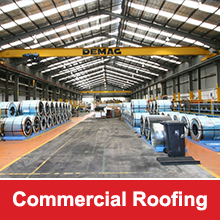 The latter is one of the primary reasons why you might face constant problems with your commercial roof. You should not face any problems with roofs if the work has been handled by a certified installer. Unfortunately, a number of installers do not have the required qualifications & experience to ensure that the quality of the installation is maintained and that the roof is as strong and durable as it should be.